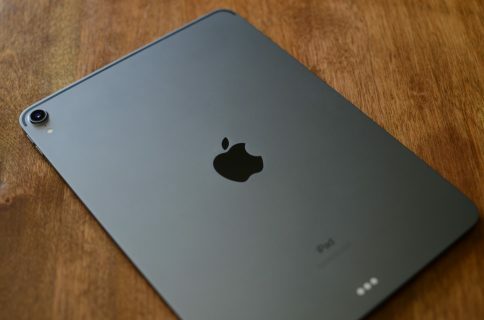 If you’re in the market for Apple’s 10.5-inch iPad Pro, you should know that any previous cases made for the 9.7-inch model will not fit the new tablet. It’s slightly wider than its predecessor (6.8″ vs 6.67″), significantly longer (9.8″ vs 9.45″), and it has a larger rear camera. Never fear, there are already several cases available for the new iPad, and we’ve taken it upon ourselves to track down the best options. 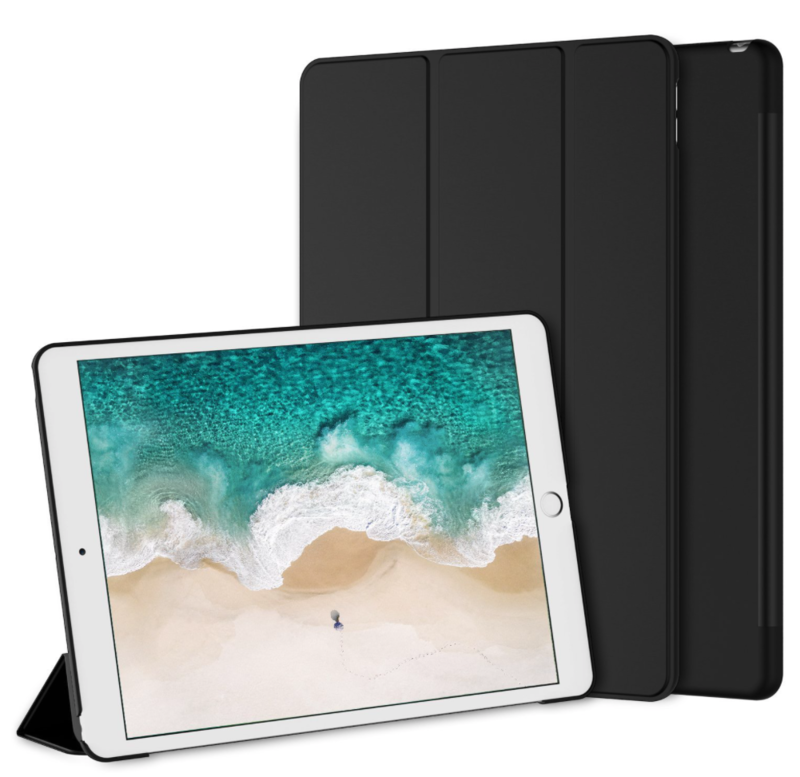 Below is our list of the best cases for the 10.5-inch iPad Pro, selected based on manufacturers’ reputation, user reviews, and case features. 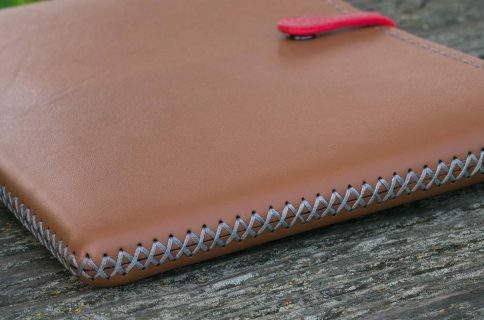 If you want the best fitting/functioning cover for your new iPad, and money isn’t really a factor, you’re probably going to want to check out Apple’s Smart Cover. 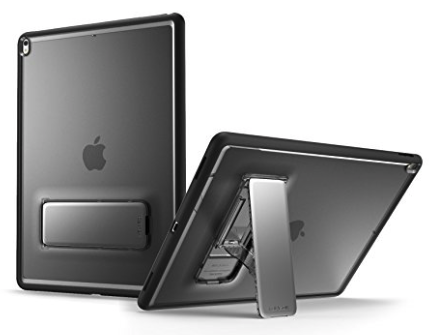 It only covers one side of your iPad (display by default, rear if you fold it over), but it snaps on and peels off easily using magnets, and it folds up to act as a stand with multiple viewing angles. I also like that it’s ultra-thin and comes in several colors. 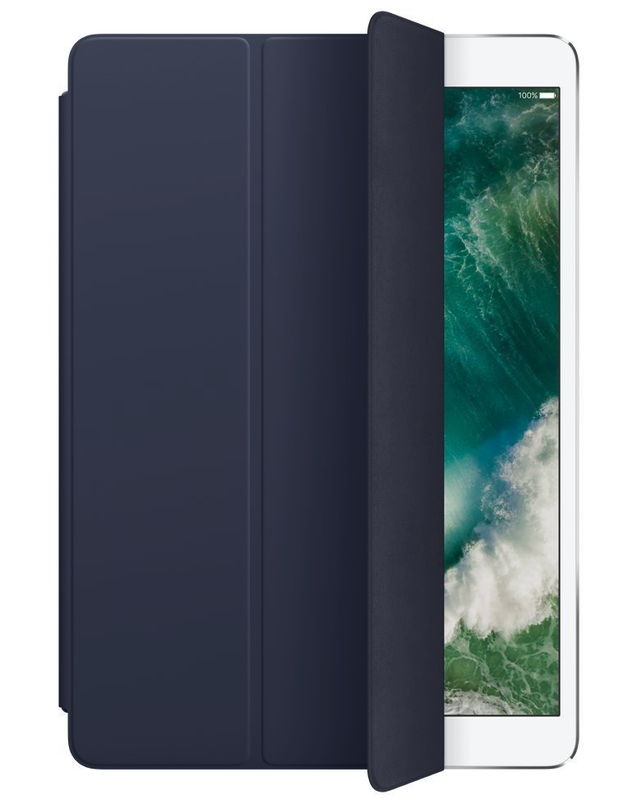 Apple also has a more expensive and luxurious cover for the 10.5-inch iPad Pro called the Leather Smart Cover for $69. JETech is a popular accessory-maker on Amazon known for offering OEM-style products at cheap prices. Their products typically get high ratings from customers, and we’ve had good experiences specifically with their iPad cases. This is their Apple Smart Case-esque Case Cover. 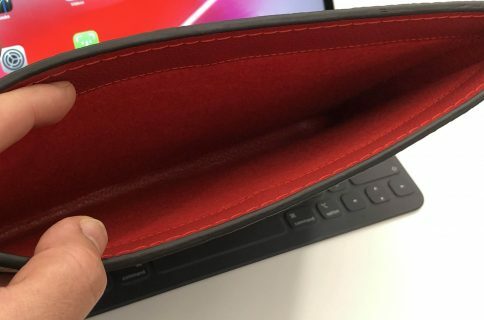 The synthetic case slips on the rear of the iPad and then the front is covered by a Smart Cover-like flap—includes magnets that activate the iPad’s Sleep/Wake function. If you like this style of case and don’t want to pay Apple’s prices, check this one out. 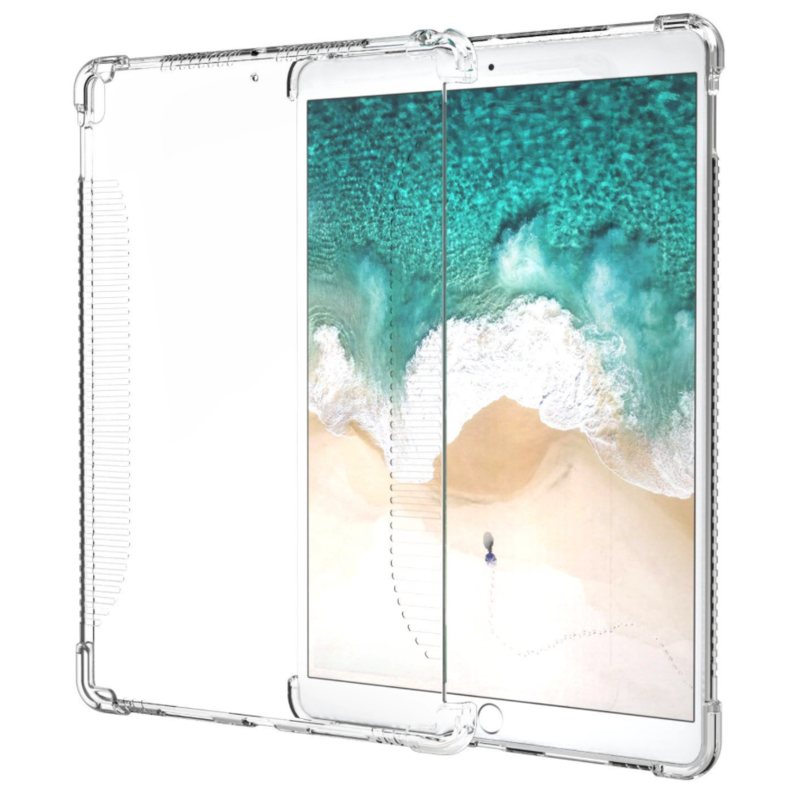 The Halo case from i-Blason is a clear protective cover for your 10.5 inch iPad Pro. It has a completely transparent back, which also features a convenient stand that makes it easy to watch shows and videos hands-free. Other features include a slim design and full shock, drop and scratch protection. This is a heavier duty case than those mentioned above, but not so much so that it makes the iPad a nuisance to travel with. 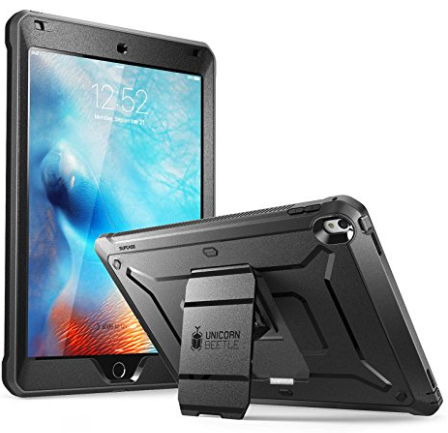 The Supcase Unicorn Beetle Pro offers dual layer protection and convenience without compromising sensitivity. Thermoplastic polyurethane and polycarbonate provide cushion during accidental drops. All phone ports are covered to block dust and debris. Built-in screen protector protects the screen from scratches. This case is designed to withstand heavy use and demanding conditions. This is a little more rugged than the i-Blason Halo, but note that it is not waterproof. This one is similar to the aforementioned JETech Case cover, which again is a lot like Apple’s Smart Case. It has a synthetic back cover and a folding, magnetic front cover that can automatically wake the iPad up and put it to sleep. 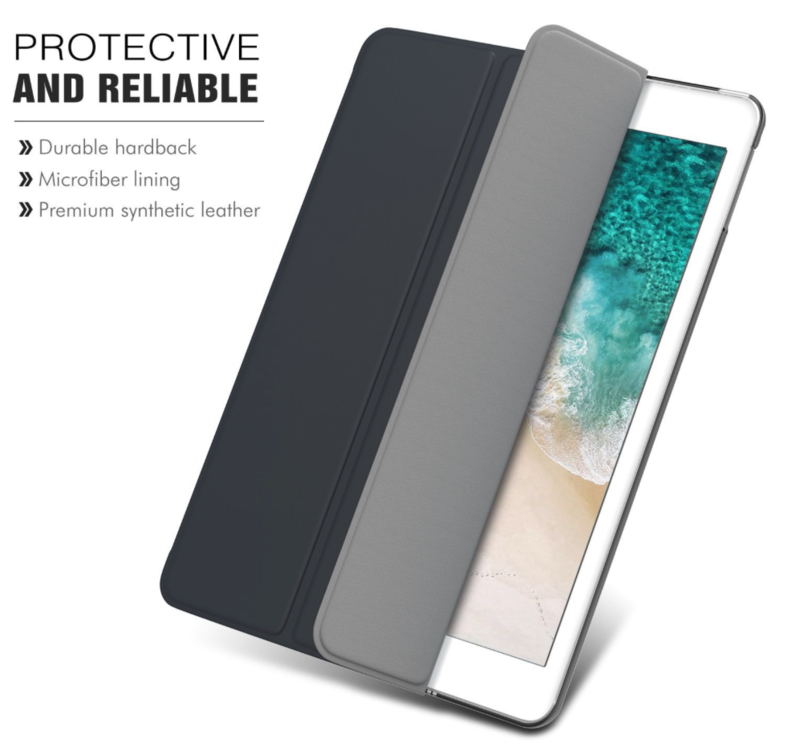 It has a premium PU leather on the outside, microfiber on the inside to protect your iPad from scratches, and no bulky bezels around the display to allow for unobstructed swiping. Comes with a lifetime warranty. For those looking for a more minimal case, check out the Clear Grip from Moko. It’s a soft TPU case that snaps on the back of your iPad Pro and it has a unique ruffled design for a grippier feel. Other features include raised edges at the 4 corners for added screen protection, cutouts for all of the ports, buttons and speakers, and it even comes with a lifetime warranty from the manufacturer. If you’re looking for something a little more professional, check out this Vintage Leather Folio from Belk. It’s not real leather, but Belk says they used premium PU leather here with a special texture to give it that vintage look and feel. 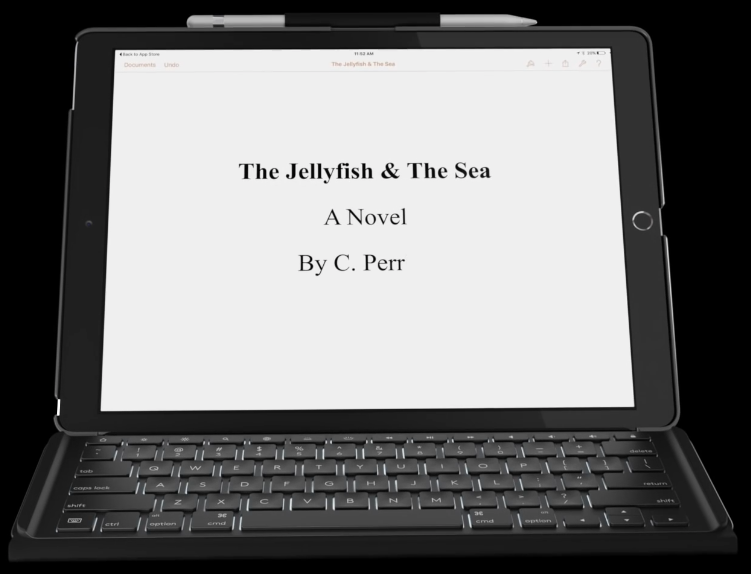 Like most folios, this case has a book-like design with a snap-in cradle for your iPad—giving it full protection. 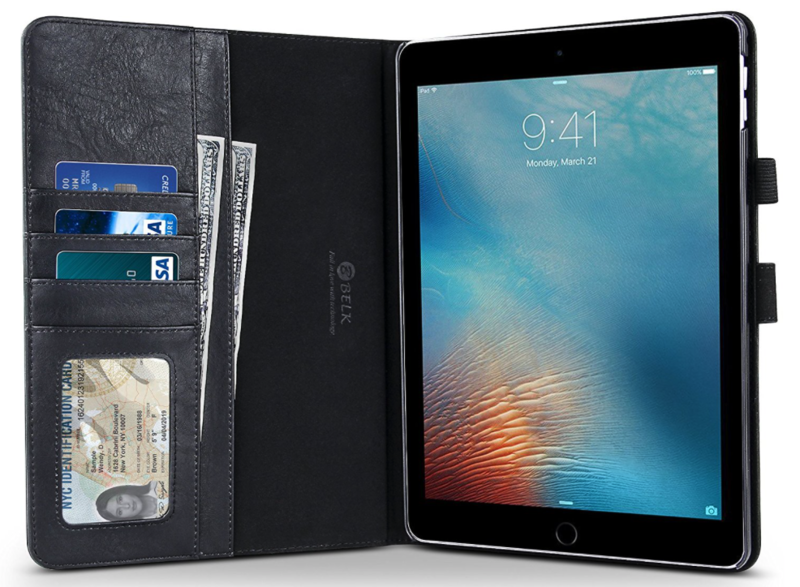 Other features include built-in magnets that activate your iPad’s auto-sleep/wake functions and built-in slots for an ID, credit cards and cash. And for those of you in the market for a keyboard case, there’s the Logitech Slim Combo. This case was designed specifically for the new 10.5-inch iPad (there is also a 12.9-inch model). It has no charging cable or batteries—it gets all its power through the iPad via its Smart Connector. This allows it to sip power—0.3% – 2.3% of battery per hour of typing—and makes pairing instant. 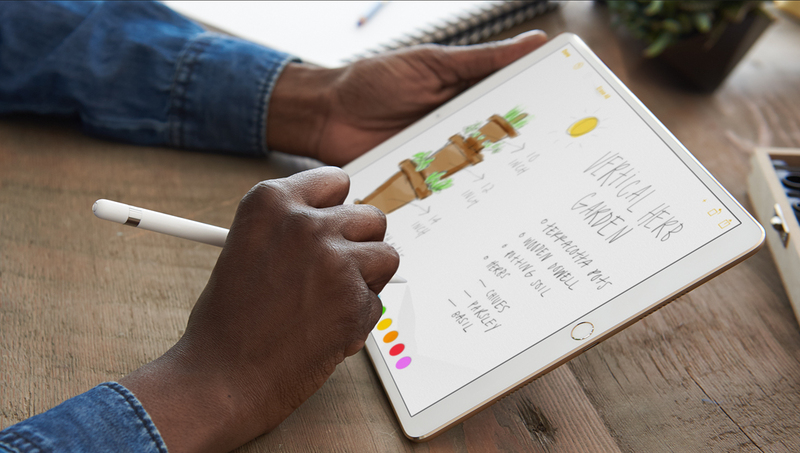 Other features include full-size, backlit keys, with 3 levels of brightness and an Apple Pencil holder. Did we miss a great 10.5-inch iPad Pro case? Let us know in the comments below!